Ankle holsters aren’t a particularly popular carry option but might be used to carry a small backup pistol or a deeply concealed primary pistol where you may not be able to carry a larger weapon easily. Why Use an Ankle Holster? Ankle holsters are great for select groups of people. 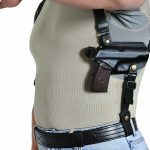 If you work in a job where you spend most of your day sitting which might make an inside the waistband holster uncomfortable and don’t necessarily wear a shirt and jacket, making a shoulder holster impractical, they may be a good option. If you are an armed security guard or police officer and already have a gun on your belt or in a shoulder holster your ankle is a great place for your backup weapon. The ankle holster may not be readily accessible when you are standing but from a sitting position or while laying or crouching in cover it will be just as easy, if not easier to draw than a gun on your hip or under your arm. The main problem with an ankle holster is the type of gun that can be carried. There’s not a lot of room for you to carry a gun on your ankle without a printing or adding a lot of weight to your leg, the common option of ankle carry is to use small sub-calibre pistols like .32’s, perhaps the Beretta tomcat or even .25’s or derringers as last ditch self defence tools. Here are five of the best ankle holsters on the market to get you started without spending too much money and how to know which one is best for you. There’s not much to this holster, just a quality piece of neoprene that is easy to put on and take off and includes a thumb operated retention strap for retention. 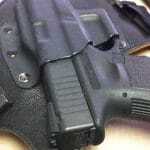 The Velcro and elastic that make up this holster keep it on your ankle easily and hold your gun very securely. This holster is not going to last forever but is one of the best received holsters online for an inexpensive ankle holster. If you’re not sure whether or not you’re going to like ankle carry this is an excellent opportunity to try out ankle carry for not a lot of money before you invest in a more expensive option. It’s not going to handle a heavy gun well, but any lightweight single stack gun that is going to be well suited for ankle carry is going to be well supported in this holster and protected from falling out. Don’t let the low-price scare you into thinking this is s low quality product, for what it is, an inexpensive ankle holster, it is an excellent performer for the price and is well-liked by the people who use it. Not many ankle carry holsters can be called innovative but this one is, it’s essentially a length of fabric with a sewn in holster that attaches around your lower leg. 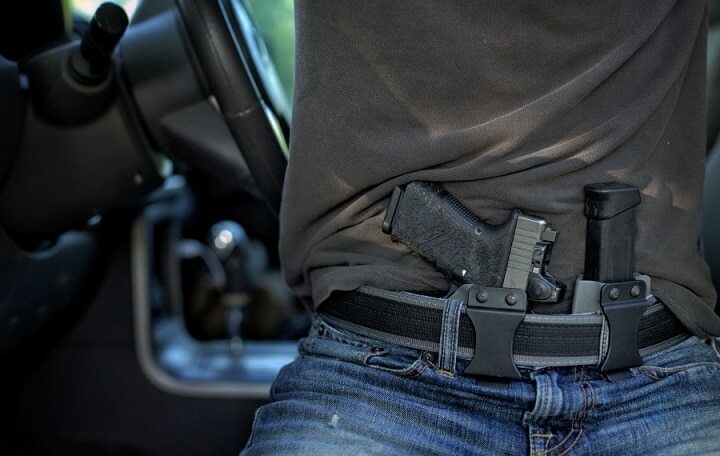 Becko Guns have created an excellent holster system that can be used in either a belly band holster configuration or an ankle holster, but can actually be carried anywhere on your leg or torso. With this holster, you get an extra magazine pouch and a secure way to carry your gun. It doesn’t support heavy guns well, but any pistol you’re likely to ankle carry is going to be at home in this holster. Just make sure you cinch the elastic down tight enough that it grips your ankle well and forms a seal around your gun. The entire holster is extremely comfortable to wear day in and day out. If you’re new to concealed carrying this is an absolute steal. For not a lot of money, you get to try out two different carry methods with a single holster and you don’t have to worry about choosing a high-end product because you’re most likely to replace this model with a better quality option later on anyway. If you’re going to carry a heavy double stack pistol or extra ammo on your ankle carry rig you’re going to need something that is comfortable and supports the weight of your equipment well. That is exactly what this ankle holster was designed to do. Despite being designed to carry a heavy handgun and extra ammo this low-profile design is easily concealable under long pants and is adjustable to carry higher on the angle than many other designs. This lends itself to carrying a full-size or compact pistol that you would normally carry inside the waistband on your belt. The difference between this holster and others from the same company is the addition of a second strap up around the calf and a magazine pouch. There’s not as much padding as other models and the ability to carry extra ammo sets this apart as a lightweight feature-rich design that you will like. Some people have complained about a low-quality stitching around the edges, but overall people who use this ankle carry holster love it and see it as an excellent value. If you are going to be carrying a large double stack or steel frame pistol you’re going to need serious retention. This holster offers that in spades by combining a solid neoprene construction with a nylon strap and extra buckle to ensure that you can keep your gun in place. On top of that, this holster has added a thumb snap or tension that keeps your gun securely in the holster while it is strapped your leg. Overall this is one of the most secure ankle holsters for concealed carry that you can get for the price. Available in a regular and XL version as well as a model with red trim this is an excellent holster that can be tailored to any size of gun or person with ease. The neoprene construction prevents chafing and isolates movement so that you don’t have to worry about your gun falling out of the holster or moving up and down your leg if you have to walk up a flight of stairs. The metal and leather retention strap combined with the comfortable and secure nylon loop make this an excellent ankle carry holster for anyone who is experimenting with concealed carry or wants a holster that they can live with in the long term without spending a ton of money. 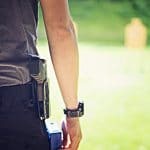 When many people think of ankle carry, they imagine a shifting, chafing mess of a holster system that is difficult to live with. If you have sensitive skin and will be using a heavy gun look at this ultimate ankle holster from ComfortTac. The flexible fit in this holster will accommodate up to a 15-inch ankle with the regular size or 17 inches with the larger size. It Can be worn high on your leg if you are wearing boots or want more concealed ability. The thing that sets this ankle holster apart from all others is the commitment to comfort, a solid one piece of neoprene is completely wrapped inside the point of contact with a holster that makes for absolute comfort and zero chafing. This is an extremely comfortable holster designed for people who want to get the most performance out of their concealed carry rig with maximum comfort. Underneath that single piece of neoprene is plenty of foam to isolate movement and keep your gun from shifting if you have to suddenly run or jog up a flight of stairs. 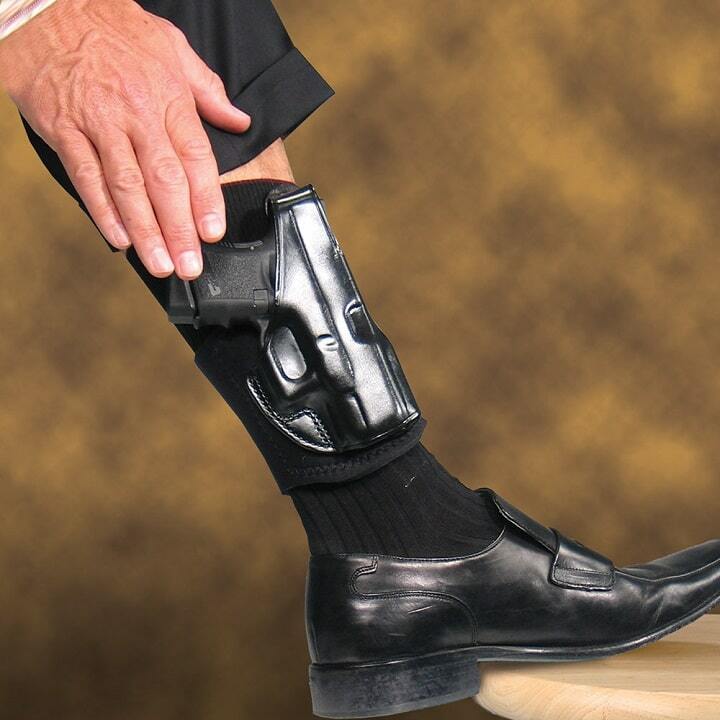 Consider this option if you’re looking to try out concealed carry on your ankle and want the most comfort for your money. Ankle holsters have a bad reputation for being unsafe. Mainly because when you use an ankle holster you’re putting your gun on the part of your body that moves the most during the day. Each and every time you take a step your gun is going to move several feet from where it originally started. 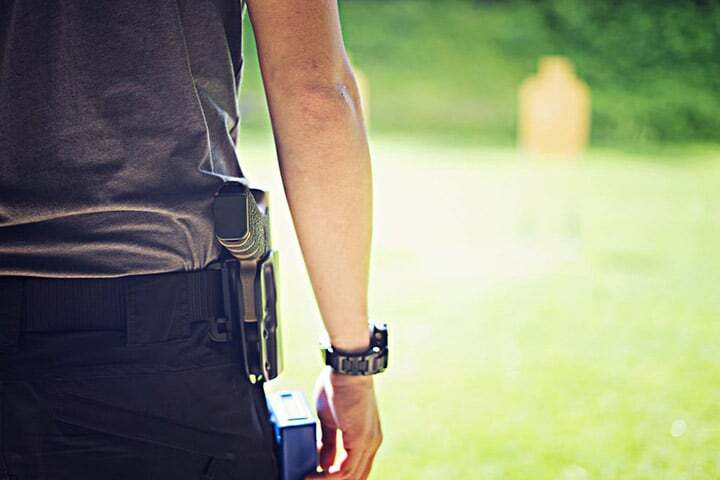 This means you need to take extra care to make sure that your holster is well-adjusted and that it can handle the rigors of carrying your gun. Especially if you work in a job where you’re active or walk up and down stairs. There’s a lot of potential for your gun to pop out of that holster and cause problems. Any gun carried in an ankle holster needs to be drop safe. Most modern pistols are but if you are using antique or surplus firearm do your research to make sure your gun is going to be safe to carry in an ankle holster. 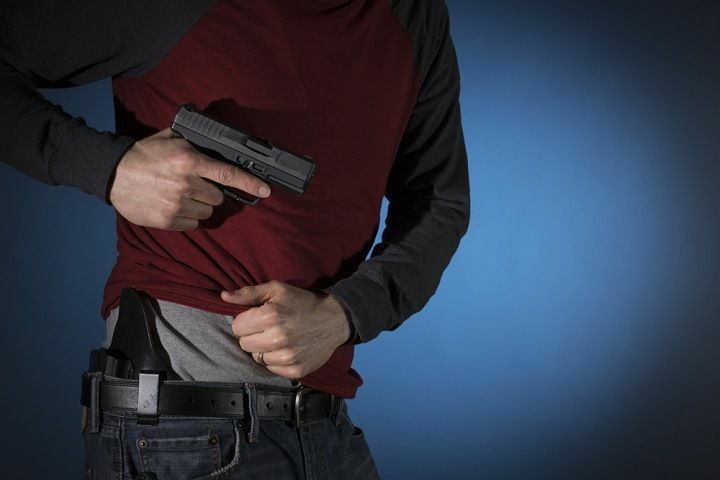 When it comes to carrying in the ankle holster itself, all firearm safety rules apply. If you have to take your gun out under duress it will be pointed directly at your foot and ankle. Make absolutely certain when you draw your gun that you are aware of the muzzle and keep your finger off the trigger until you have made your decision to fire. Many people have problems with ankle holsters but overall they are extremely easy to use and a good carry method for people who spend a lot of their day sitting or need a deep concealment method. Ankle holsters are the most finicky carry method for both comfort and designed and few companies put together successful products. 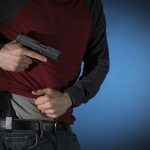 You can’t go wrong with one of the five holsters on this list for getting the best ankle holster for concealed carry. No matter what though, make sure you get your holster and carry your gun. It won’t do you any good at home in your safe.